Hey everyone! Ugh, this week has been full of work for me. I've been working on a research paper that is due tomorrow. I'll be happy to be done. I've also had to deal with some car issues. The computer in my car is malfunctioning. It's basically turning on warning lights on the dashboard when there is nothing wrong. I'm eventually going to need to replace the computer, but as of now it doesn't seem to be an immediate issue. The computer part for a car is super expensive though...bleh. 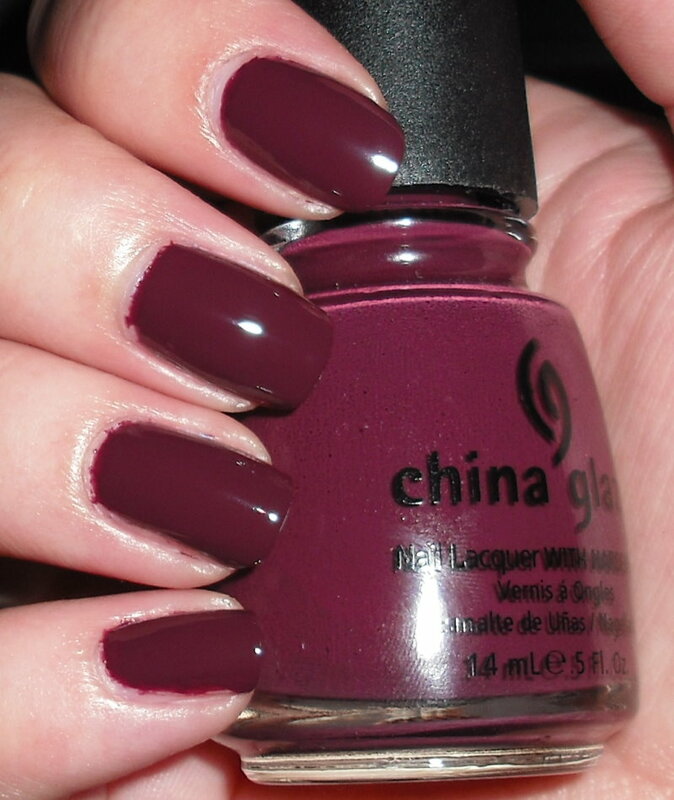 Anyways, I wanted to share with you one of my favorite fall shades. VII is a dark eggplant/aubergine creme. This is a dark shade, but it definitely reads as purple on your nails not black. I love this shade. This one has got a lot of use out of me. It's that perfect fall/winter creme. I was also tagged for a few awards recently. 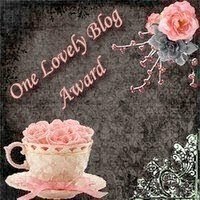 I got the "One Lovely Blog" award from Tara of "For Your Nails Only" & Melanie from "The Color Palette"
I also got this award from necessary nails with a questionnaire. I debated making this blog for probably a year. I felt there were so many polish blogs why would anyone read mine? I just on the spot decided to start it one day. I have all this polish and people in my daily life really could careless about nail polish, but I know others out there share this same love. This blog has been a nice getaway for me and great way to meet like-minded others. I mainly follow nail polish blogs, drugstore makeup blogs, and a few food blogs. I use so many different brands I don't have an actual favorite. I probably have a favorite for each category of makeup though. I do seem to use a lot of Bare Escentuals and Maybelline products. Same thing with the makeup. I'm not brand specific. I love turquoises, reds, and golds. My favorite was Victoria Secret "So In Love" but they don't make that anymore. I also like Stella McCartney "Stella", L'Occitaine "Roses 4 Reins", and Woods of Windsor "Forget Me Not". All the countries in Western Europe. Thank you lovely ladies for tagging me for these awards! I unfortunately do not have the time to go through and tag different people for this award. I think these awards have been going around for awhile, so I don't want to re-tag people. I tag anyone who would like to have these awards or do this questionnaire! Now that color is YOU! Totally lovely. Well, thanks, now I need to get this one too. :D I've been thinking about ordering this sometime but you totally showed that I need to have this..
that color is GORGEOUS! congrats on all the tags! I do love this polish!!! It looks so rich..gorgeous. I'm sorry about the car, but until something that we depend breaks down we don't realize how important it is to us. Love it! So deep and creamy! VII is gorgeous! I love those shades that are very dark but clearly not black. Wow, that color looks really good on you! It looks like it'd be a good fall back color, like when you can't decide what to wear and you decide to go for a mistake proof shade. I need a color like that in my life! It´s a real gorgeous color!